Southside Creative, HHM Certified Public Accountants’ affiliated marketing and design studio, announces the hire of Jordan Estes to oversee the studio’s digital services. Mr. Estes joins Southside Creative with experience as a digital marketing specialist for local and regional businesses in a variety of industries. In his new role, he is focusing on expanding Southside Creative’s existing clients’ digital presence though website innovation, email marketing, Google Ads, SEO, social media, and other creative digital solutions while counseling businesses across the growing client portfolio on digital brand strategy. Previously, Mr. Estes worked as marketing coordinator at Library Ideas, INC. where he oversaw the marketing for the Library Ideas brand through social media campaigns, newsletters, events and more. 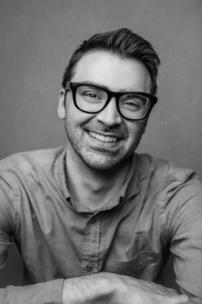 Mr. Estes earned his Bachelor of Fine Arts from Greensboro College in Greensboro, N.C. After working for 10 years in fine arts pursuing his acting career, he was drawn to expand his capacity in other creative fields, specifically technology and marketing. Utilizing everything he learned during his time as an actor, along with courses through Treehouse’s technology school, Mr. Estes has acquired a desire to produce successful, long-term digital marketing strategies for clients in various industries near and far. For more information, visit SouthsideCreative.com, and follow Southside Creative on Facebook, Instagram and LinkedIn.